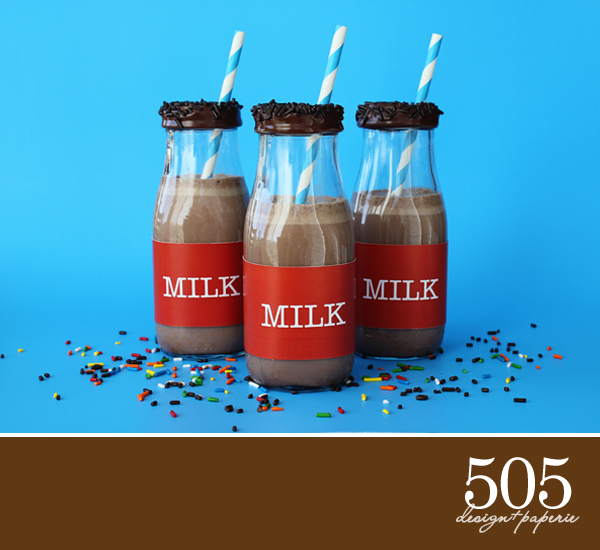 I have received so many questions about the milk bottles I used for my nieces Cookies & Milk party. I want to share this inexpensive and easy tutorial on how to create your own. 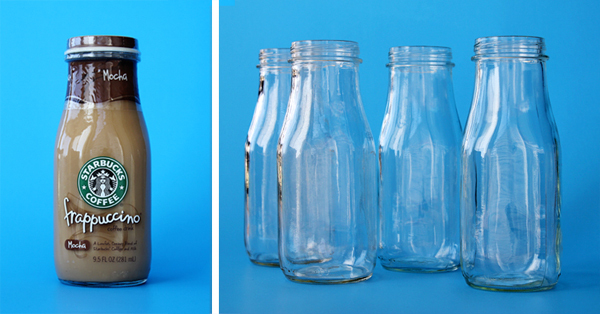 I am in love with those vintage glass milk bottles, but at roughly $5 a piece the price is a little too steep for my budget (especially when you consider glass bottles and small children are never a good combination). 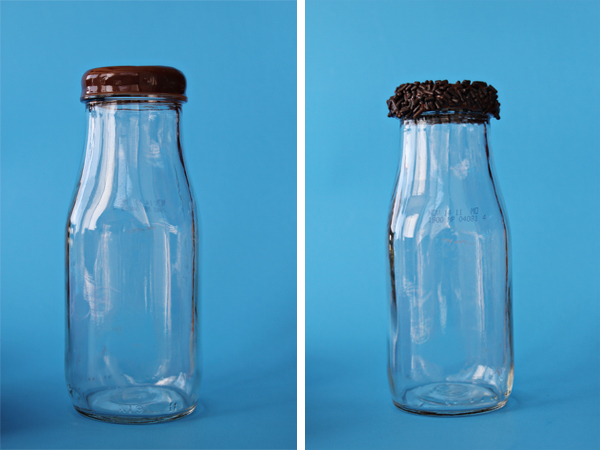 This tutorial will teach you how to turn a simple Starbucks Frappuccino bottle into an over the top dessert table accent. 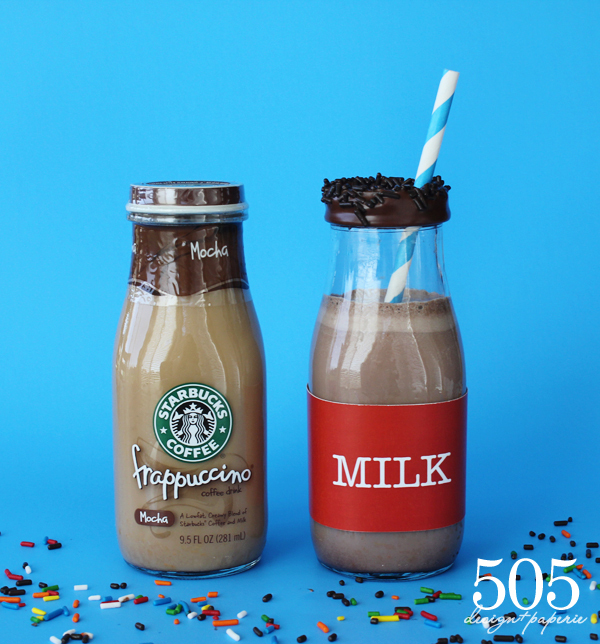 Soak empty Frappuccino bottles in warm soapy water for about 10 minutes to remove wrapper. Clean and dry thoroughly, set a side. 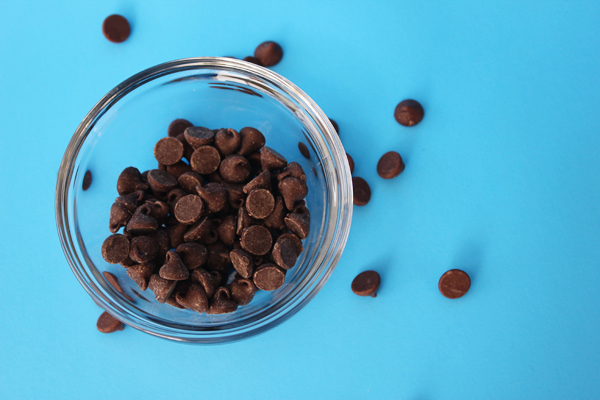 In a small glass dish melt chocolate chips in the microwave, one minute at a time at 50% power, stirring in between. 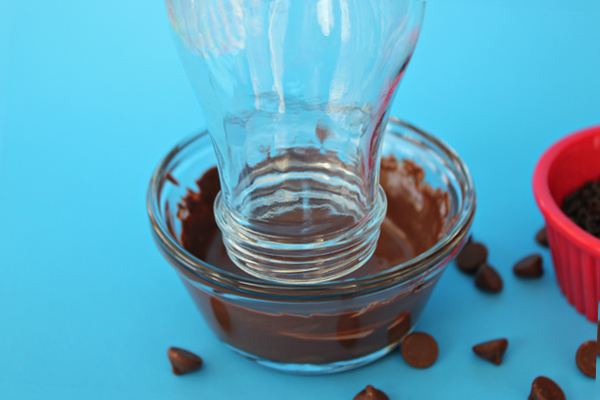 *Helpful hint – Add 1/2 teaspoon of Crisco Shortening to make chocolate shiny and smooth. 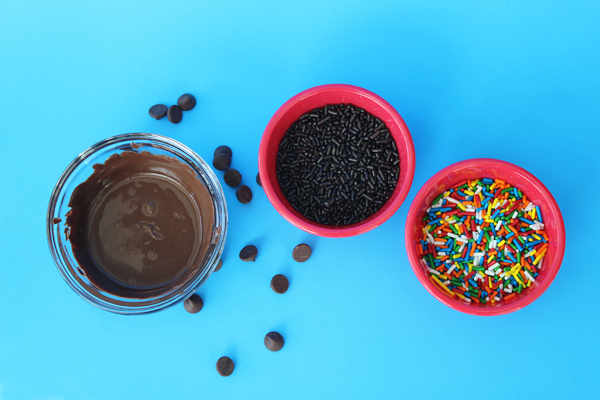 Dip the rim of the Frappuccino bottle in melted chocolate, making sure to cover the entire twist off area. The above steps can be done a couple days in advanced, just make sure you store the bottles in a cool and dry place. 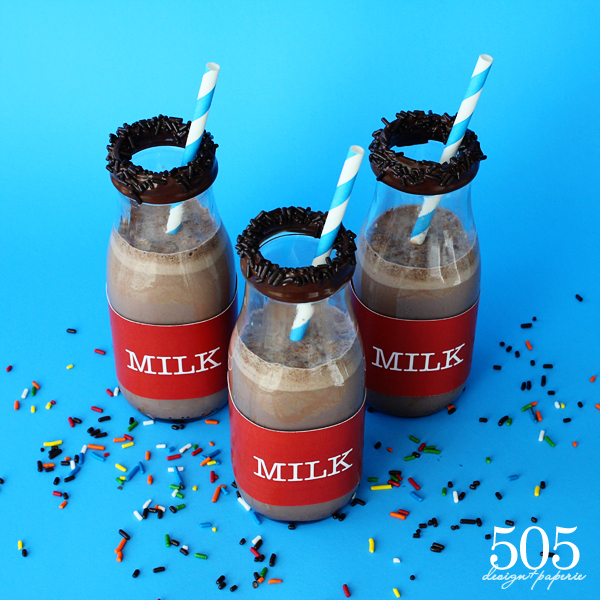 The day of your party add the milk and drink wrapper then top off the bottle with an adorable striped straw.